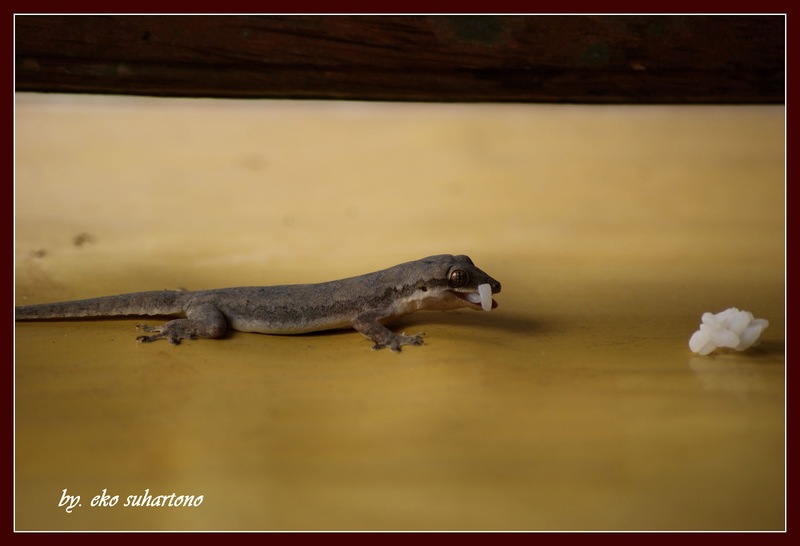 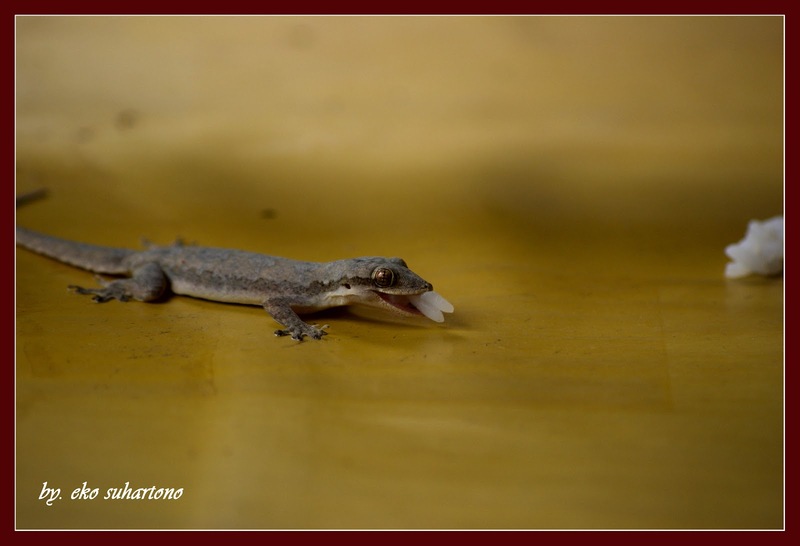 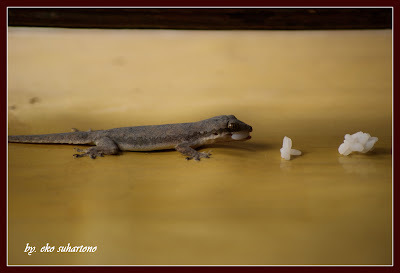 During this time, I think that Flat-tailed House Gecko (Cicak-Java: Hemidactylus Platyurus) is one of the carnivorous lizards, so that I earn at the school where the Flat-tailed House Gecko (Cicak) is an insect-eating animals. 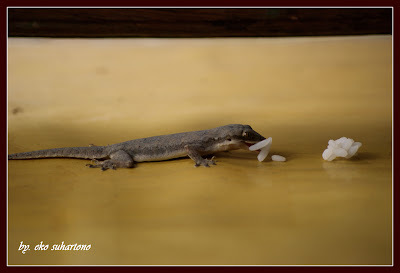 In addition, indeed during the time that I saw the lizard always eat insects (carnivores) that hunt mainly at night. They are looking for prey near the lights of home entice insects to come and perch, so the lizard a chance to eat it. 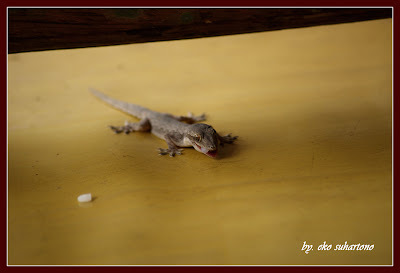 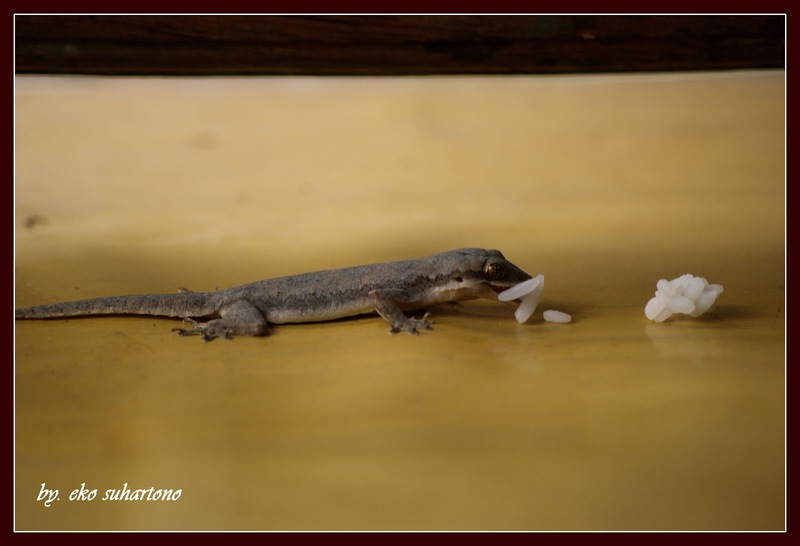 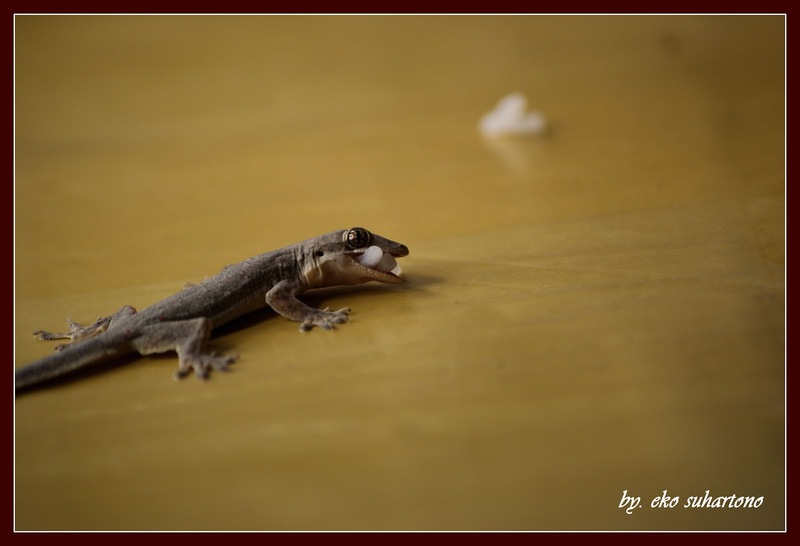 However, the fact that I cannot accidentally catch, such as the photographs below, that the lizards also eat anything from planting, in this case is a grain of rice, thereby herbivorous lizard belongs to the group, so as lizards also eat insects (Carnivore) then in fact include the animal omnivore lizard (or omnivorous). 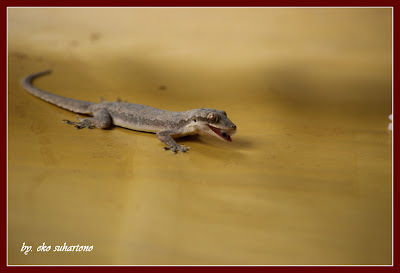 Here are the pictures that states that the Flat-tailed House Gecko (Cicak) is omnivore.